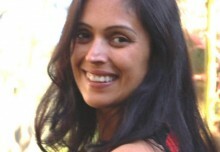 Anjali Kirpalani is a twenty-six year old dreamer. Like the protagonist of her debut novel, Never say Never, she is 5’2 and has frizzy hair but has never fallen for her best friend’s boyfriend (Even if she has, she promises she’s never done anything about it). Born in India, she lived in South Africa for 8 years and finally came back to Mumbai in 2008. She has had various jobs ranging from Radio Jockeying, Business Management, Marketing, TV Reporting, Print Journalism and Voice-Over Artistry. Currently working with ET NOW, writing has been the one constant in her life. She grabs any opportunity she can to travel (This passion has led her to fifteen countries so far and she aims to cover the entire world). She also loves Reading, Eating and Watching back-to-back episodes of Master chef Australia as a guilty pleasure. Let’s start with the cliché. So from what age have you been writing? I started writing poetry when I was 13 in school. What did you write first: poem or a fictional story or was it something from your own life? I started with poetry. My first poem was inspired by this beautiful sunset I saw back then. I entered the poem in a school poetry contest and won a prize. That was my first vote of confidence when it came to writing. I moved from poetry to fiction and non-fiction. I started writing short stories and freelance articles for magazines and newspapers when I was about 16. Since then, I’ve written fiction and non-fiction pieces but fiction is where my heart lies. Who or what is your biggest inspiration when it comes to writing? My favourite authors have served as my biggest inspiration. I absolutely love books by Jane Austen, Vikram Seth, Marian Keyes and Fiona Walker. Books by these authors have impacted my life and stayed with me for the last fifteen years or so. I want to have that kind of an impact on my readers’ lives and that’s what inspires me to continue to write. Was there any specific incident of your life that inspired you to write? I moved from Mumbai to Durban, South Africa when I was 12. It was a huge change for me and the move was especially hard because of my age. Adolescence is tough enough in your country but having to deal with a completely new country and new people was very challenging, to put it mildly! I think it was the challenges with adapting to a new country, discovering my strengths and weaknesses and missing India that inspired me to write. Your debut novel ‘Never Say Never’ has been a huge success. Would you like to say something about it? Never Say Never will always be close to my heart because it was my first ‘baby’! I truly did give it my all. I really enjoyed writing it and I think that comes across through the funny scenes and humour in the book. It’s a great feeling when your first novel receives so much appreciation. I felt like the literary world welcomed me and the response to the book just made me want to continue writing. How and what inspired you to write ‘Written in the Stars’. Is there an incident you would like to share? After I wrote my first novel, Never Say Never, I couldn’t find inspiration for my next novel for a while. I actually wondered if I’d used up all my creativity in creating my first novel. I discovered that writer’s block was real. It took me two months to find something to write about. I knew I wanted my next novel to be set in a location aside from India and encapsulate the self-discovery that occurs when one travels and gets away from all that is familiar. A trip I’d taken to New York in 2012 was especially memorable. I wanted to write about the vibrant city of New York. I had just quit my job at ET NOW when I sat down to write the book. I realized that I’d been lucky to find my true calling in writing after the confusion I experienced in my early 20s. But there were so many clueless twenty-somethings around me. I felt like I had to write a story about a 20-something girl from Mumbai desperately searching for her true calling. A chance trip to New York changes her life completely. Because Ananya, the protagonist, is so lost, she looks for answers in the cosmos. She visits astrologers, tarot readers and checks her horoscope everyday. Destiny v/s Freewill is one of the biggest themes of the novel. It’s a theme I’ve personally been intrigued and conflicted about and so I had to write about it to find some answers myself. Where do you begin your research on the characters? Or they are mostly depended on your imagination? Both my novels are an amalgamation of fact and fiction. Most of my characters are inspired by myself or my friends and family but many of the characters are based on acquaintances or people I’ve heard about but have never met. There are of course, also characters that are pure figments of my imagination! But I think the reason readers find my characters realistic is because they are based on traits of real people. I always ensure that every character I write is believable. So if its an annoying aunt at a wedding, she will be annoying but not exaggeratedly animated. If its an overbearing mother, she’ll be bossy but not to the point where its unrealistic. In Written in the stars, Ananya’s brother, Akash is an investment banker in New York. I don’t personally know any investment bankers but I’ve heard stories of their hectic lives. So for this particular character I did research online on the kinds of lives investment bankers in New York lead and I spoke with investment bankers who my friends knew. So the amount of research a character requires really depends on the character. I actually wondered if I’d used up all my creativity in creating my first novel. I discovered that writer’s block was real. It took me two months to find something to write about. I knew I wanted my next novel to be set in a location aside from India and encapsulate the self-discovery that occurs when one travels and gets away from all that is familiar. Both of your novels are and chick-literature. Do you wish to write about any social issues in future? Both my novels are chick-lit but they do deal with social issues. In ‘Never Say Never’, Nikita learns the importance about giving back to society through a campaign she initiates at work. In ‘Written in the stars,’ Ananya suffers from low self- esteem because she is on the heavier side. Our society has become obsessed with the way we look and what we weigh. The way people, and especially women, are judged based on their looks has always bothered me and so the novel teaches you to love yourself no matter what and to focus on your personality rather than your looks. Likewise, ‘Written in the stars’ deals with another very pertinent social issue but one that I wouldn’t like to mention for fear of giving away the plot! The chick-lit novels I grew up loving were light but also dealt with serious matters like alcoholism, drug abuse and death, and I’ve always maintained that ‘chick-lit’ is not synonymous with ‘fluff.’ It can deal with serious issues and have substance and still be entertaining. That said, I might explore other genres in the future as well, because as a writer I’d want to grow and experiment with my books. Another cliché of a question: Where do you go for criticism? How do you do rewrites? I run my work by my sister; she’s my sounding board. I use her feedback to help me polish my novels. I don’t believe in showing my work to too many people at the time of writing. I feel like too many opinions will make you lose your voice. ‘Written in the stars’ had many more rewrites than ‘Never say Never’ owing to my editor at my publisher, Amazing Reads (an imprint by India Book Distributors) It was frustrating at the time but when I look at how the final product turned out, I’m highly grateful to my editor, Trisha Bora. What was your reaction on finishing your second novel? Elation! I have my moments of self-doubt, like most writers do so when I completed ‘Written in the stars’ I was ecstatic and oh-so-relieved! How would you describe the difference in experience when you got your first novel published and now the second one is becoming a huge success too? The first time around, its all very new and exciting. But the second time around, you’re wiser, you have a better understanding of how the industry works and you don’t have unreasonable expectations too. I’ve definitely gotten much more patient now. With my first novel, I wanted it to become a bestseller overnight which of course, doesn’t happen that easily. I’ve learned to market my books and myself better. Both your novels have amazing book covers. How did you decide the appropriate cove picture for your novels? Thank you! The credit for the covers goes to my respective publishers. They’re the ones who gave me options for the covers designed by their designers. Incidentally, both the covers weren’t my first choice. But after showing them to friends and family, based on their feedback, we ended up selecting them. What plans do you have for future when it comes to writing? Do you have another novel in your mind? I’m working on my third novel which will hopefully be out in 2016. While my first two novels dealt with characters in their mid-late 20s, this novel will deal with four students from different parts of the world who meet a University abroad. The Novel is about how their lives intersect. I’m enjoying revisiting my college days (and especially the time when I was an exchange student at a university in Canada) to write this novel. A writer can never go on a vacation: What do you want to say about it? It’s true for sure. I’m always observing people and situations around me closely. But I like being observant; it means I’m not going through life not noticing what’s around me and what’s important! Would you like to share some tips for aspiring writers from your experience? Cliched as it may sound, believe in yourself. If you can dream it, you can do it. If you’re serious about writing a book, start now. It’s a long process and the sooner you start, the sooner you’ll get to see your name on bookshelves. This interview has been published in Vol.04 Issue.02 of eFiction India. 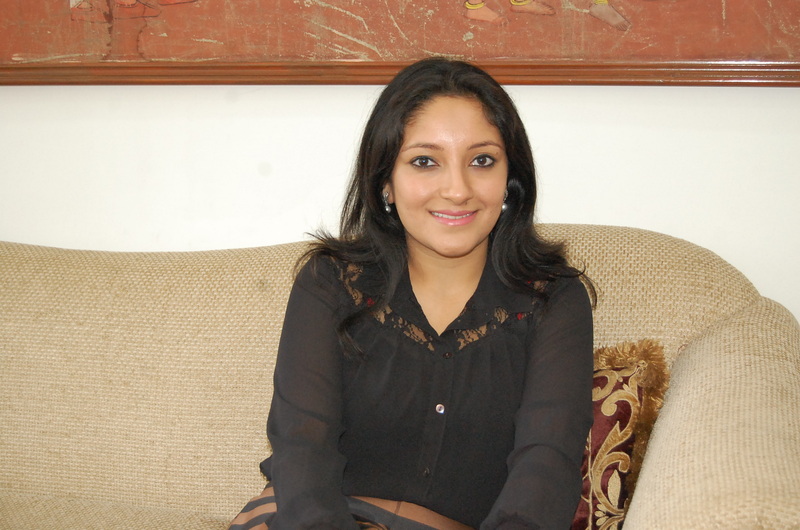 To read our previous conversation with Anjali click here. 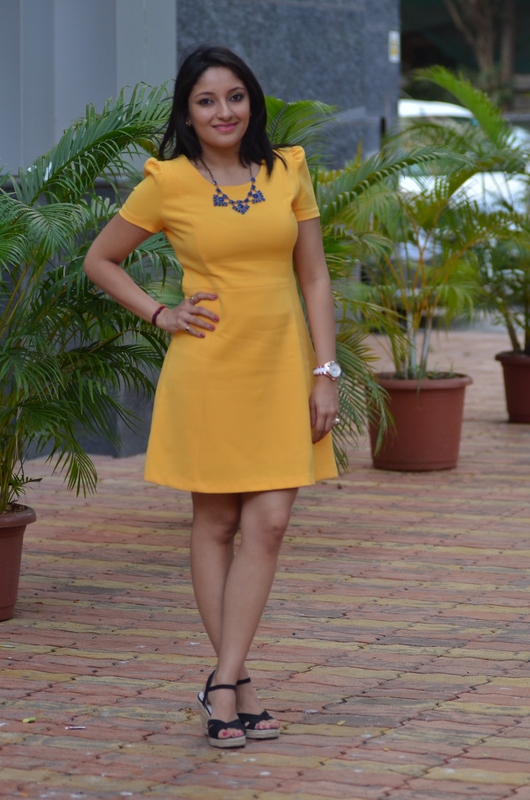 Sukhmani identifies herself as a woman of substance and change. She has recently published her debut novel ‘The Shadow of the Dark Soul’ in 2015 which is a sincere dedication to Jyoti Singh Pandey( Nirbhaya). She was previously published in ‘We are Not Alone’, an anthology published in association with Mood Indigo in 2014. She also secured the third position in a competition organized by Rising Literia that reflected her views on the topic 'Freedom Mask'.Her other trysts with the written word can be seen on her blog ‘www.sukhmanigandhi.wordpress.com’. She believes the best form of expression is through quotations on the page “Ephemeral Wordss” and write to bring awareness in the society.